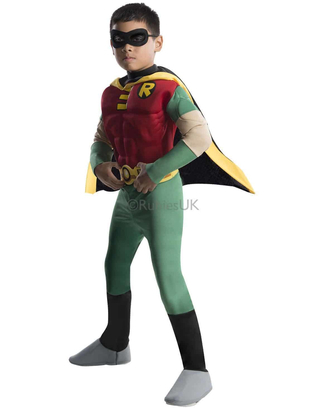 Batman's trusty sidekick, Robin makes an appearance yet again! 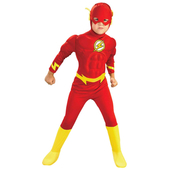 This costume is great if you want to feature in a superhero theme party. 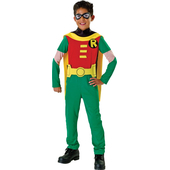 The costume includes a muscle-chest jumpsuit with attached boot tops and a yellow cape. Also included is a yellow belt with black print and black eyemask. 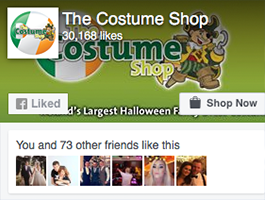 Please note these costumes are large fitting. 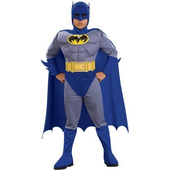 Inside leg up to 18"
Inside leg up to 22"
From Customer Feedback this costume is a big fitting and sizing may differ on packaging as they are American sizes. 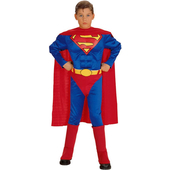 This costume is also available in larger sizes in our teen section.